Assist with print production and small product development based on existing brand. Provide compelling and descriptive photography of completed products. Homeopath Brian Bruce and his wife Margi, who run a health consultancy in Mullumbimby NSW, have partnered with Michael and Ludmilla Doneman from Edgeware Creative Entrepreneurship, based in Brisbane Qld, to create Universal Placebos; a unique online service which, since 2008, has made placebos available to the public, so that they can experience the mysterious healing powers of placebos without the harmful side effects of pharmaceuticals. 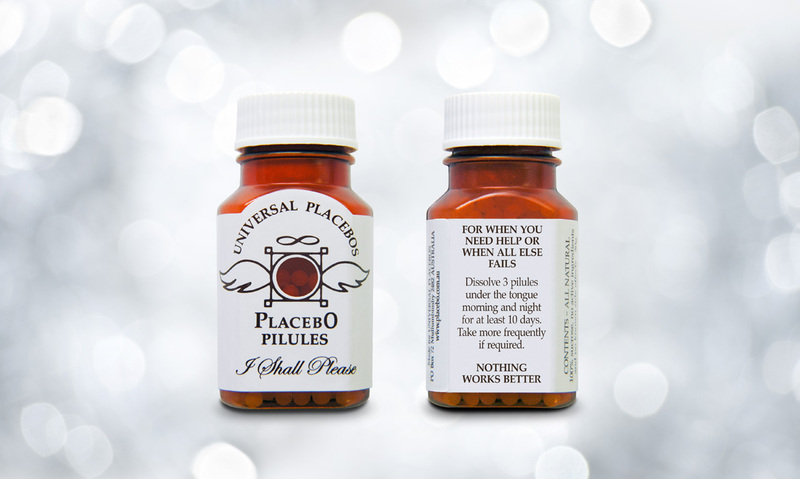 Margi approached me to help with the technicalities of creating a label for their Universal Placebo product. The logo design was a collaboration between Brian and Margi and their partners and contains symbolism consistent with their philosophy of life and natural healing. Margi asked me to help prepare the logo for print and to include it in a label design for a pilule bottle that they had chosen. I worked very closely with Margi to perfect the design and then once it was printed and delivered, to photograph the completed products.